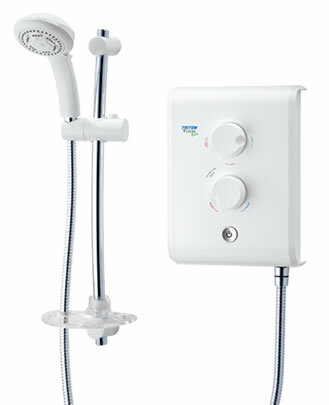 The Triton T80z offers an environmentally friendly solution for anyone looking for an electric shower with an ecologically responsible flow rate of below 6 litres per minute. The shower’s neat white fascia is complemented with a white and chrome riser rail and a handset with 5 spray options. With such a frugal use of water, the T80z is an excellent choice where water usage is not only desirable but is an issue. The table below shows the water savings allowed by the Triton Dart Eco shower when compared to a conventional mixer shower. Over the lifetime of a shower, this represents substantial water savings.